Our motorbikes - Africa's best motorbike tours. BMW motorbikes. Because fun should be riding a bike, not moping broken down on the side of the road. That is why we use motorbikes that can handle the rough and tough and are suitable for the long distances as well as the harsh desert climate. We maintain the motorbikes, suspension and tyres ourselves so we know it is done well. We want you to have only one concern: riding your motorbike through the stunning landscape! We have BMW GS 700, BMW GS 800 and BMW GS 1200 motorbikes. The tour price varies per bike, so tell us what type of motorbike you want to ride when booking (use the ‘remarks’ field for this). If you are small we can provide you with a lowered seat on the GS 700 and the GS 1200; use the ‘remarks’ field to indicate this too. If you are really short we have one F 650 with lowered frame and suspension available. Despite the large distances all types are suitable to run the tours. Especially if you are riding with a pillion the GS 700 is on the light side. However, if you are small or very light the 700 is the better choice. We want to emphasize one really important thing: when choosing your motorbike, keep the fun you want to have in mind, not the price! To help you achieve this we have kept the price differences between the various types of motorbikes smaller then you usually encounter. Still in doubt what type you want to ride? We are happy to give you advice. We check all our bikes very thoroughly before each tour. We believe prevention is the best medicine! Each tour is accompanied by a back-up vehicle. This can be a small truck or a landrover with luggage carrier. 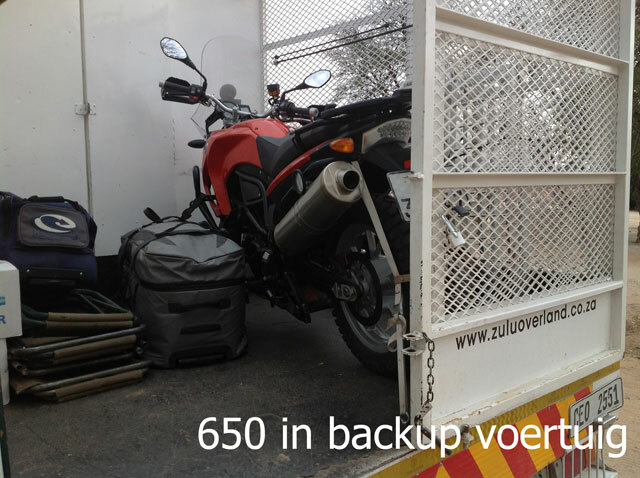 The back-up vehicle carries your luggage and, if they wish, on bad stretches the pillion riders. Furthermore we don’t only carry spare parts and spare tyres, but even a complete spare motorbike! So if you have a serious breakdown you can continue your tour on the spare motorbike whilst your own motorcycle is being fixed. All motorbikes come with a liability insurance, but everything you break yourself, you pay yourself. We don’t take a large amount as deposit through your credit card, but only use your credit card as a guarantee. 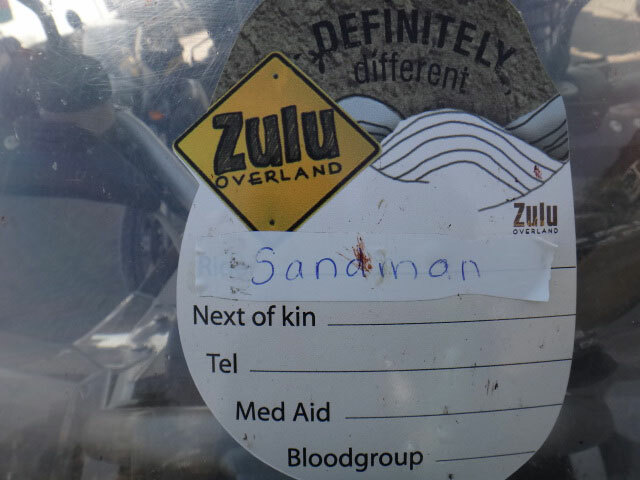 How it works: upon arrival we give you a list of parts of the motorbike with their replacement costs. You sign an empty credit card slip as a guarantee, which we keep until the end of the tour. At the end of the tour we add up the balance of damaged parts (if any) and use your signed credit card slip for reimbursement. No damage – you get your empty signed credit card slip back. You don’t have a credit card? Get in touch with us. Together we will find a solution!